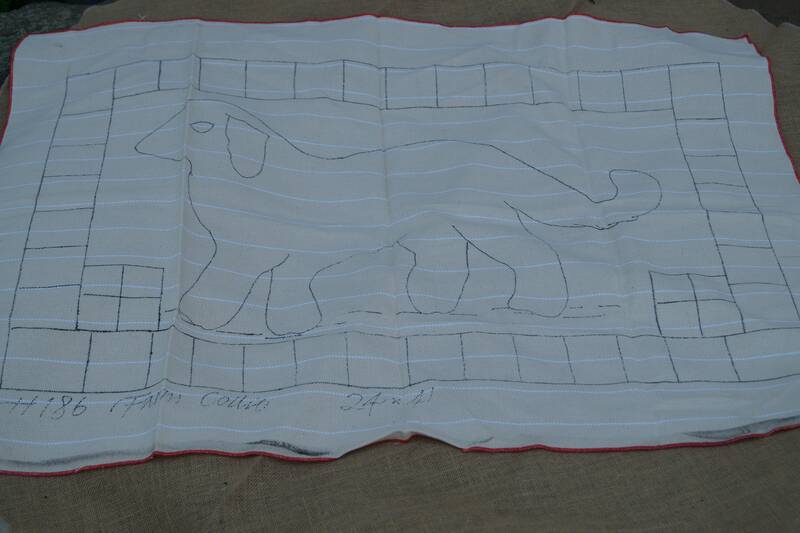 FARM COLLIE rug canvas backing stamped on monk's cloth. From Joan Moshimer Studio. 41" wide by 24 " high.